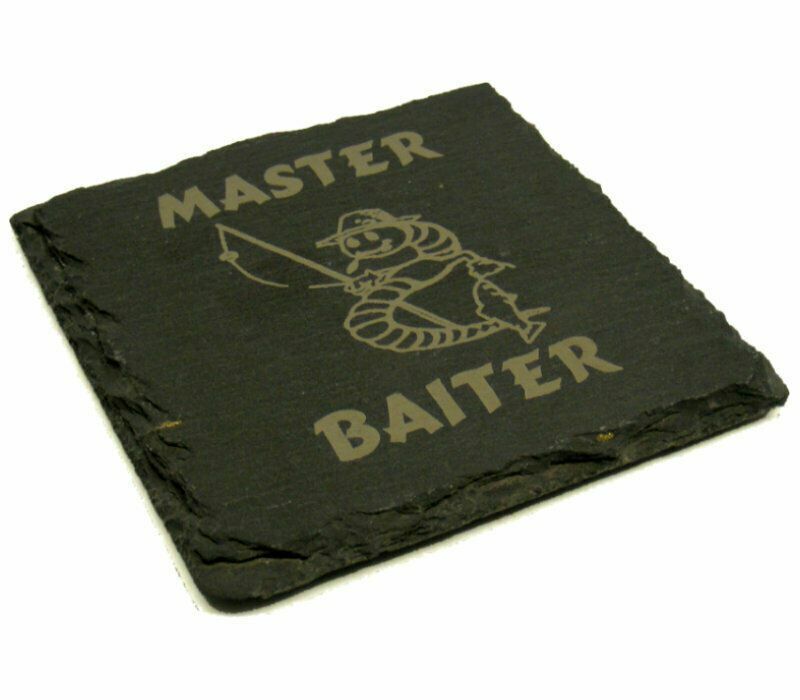 A set of four square slate coasters, can be used indoors and outdoors. 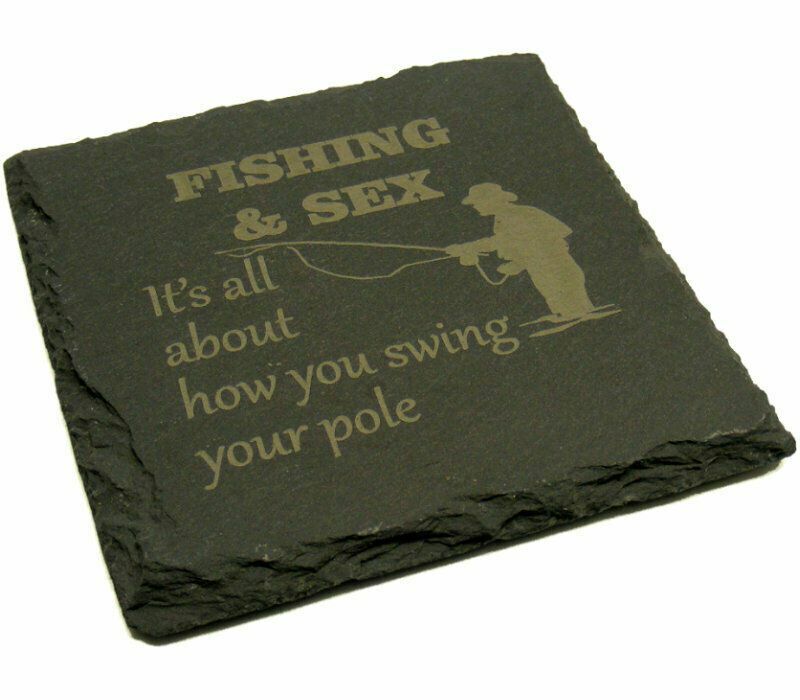 Great for any keen fisherman on their Birthday or as a personal purchase for those with a sense of humour. 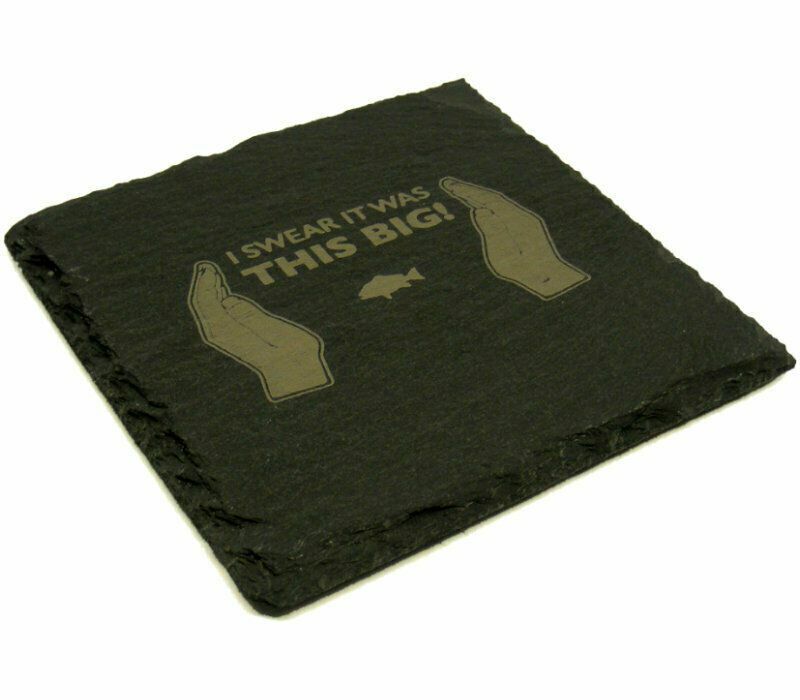 Each coaster has a different rude yet humorous design permanently etched to the highest standard on the front. Each coaster measures 10cm x 10cm and gas protective feet on the bottom. 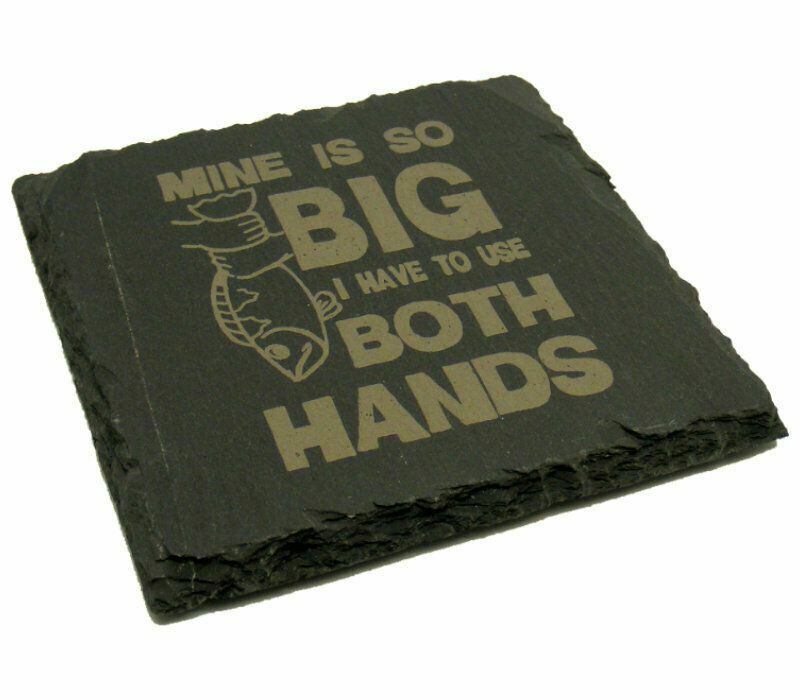 No two pieces of slate will be exactly the same, as it is a naturally occurring, hand-cut product. This may result in slight differences in the surface, thickness, cut, smoothness and edges of the product. It may also contain elements of Pyrite (also known as Fool's Gold). 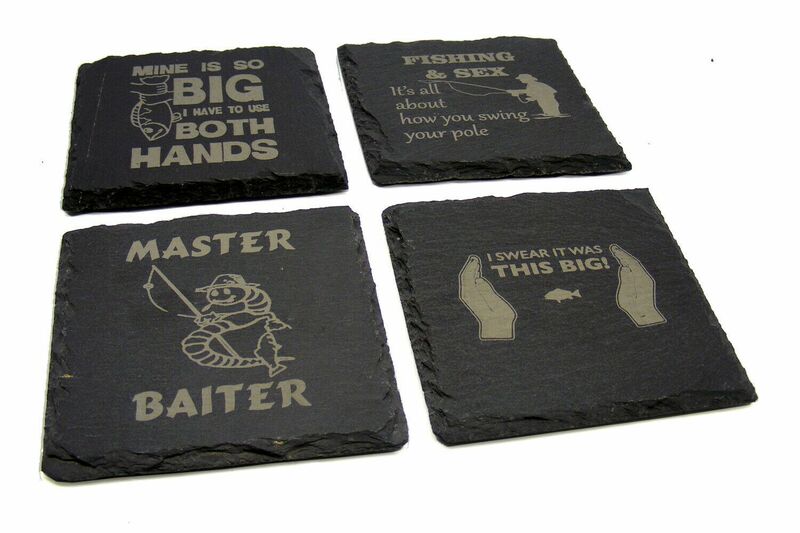 This gives slate products their unique charm.